Isiah Factor | The Insite » INSITE PHOTOGRAPHER OF THE WEEK: STEPHEN DAVIS! INSITE PHOTOGRAPHER OF THE WEEK: STEPHEN DAVIS! November 21, 2006 | Posted in Uncategorized | Comments Off on INSITE PHOTOGRAPHER OF THE WEEK: STEPHEN DAVIS! Stephen Davis has been a fixture at KTRK-TV 13 for five years now. He arrived in the Bayou City from KTBC – the FOX owned and operated station in Austin. Stephen can be found tooling around town gathering stories for the stations daily line up of newscasts. 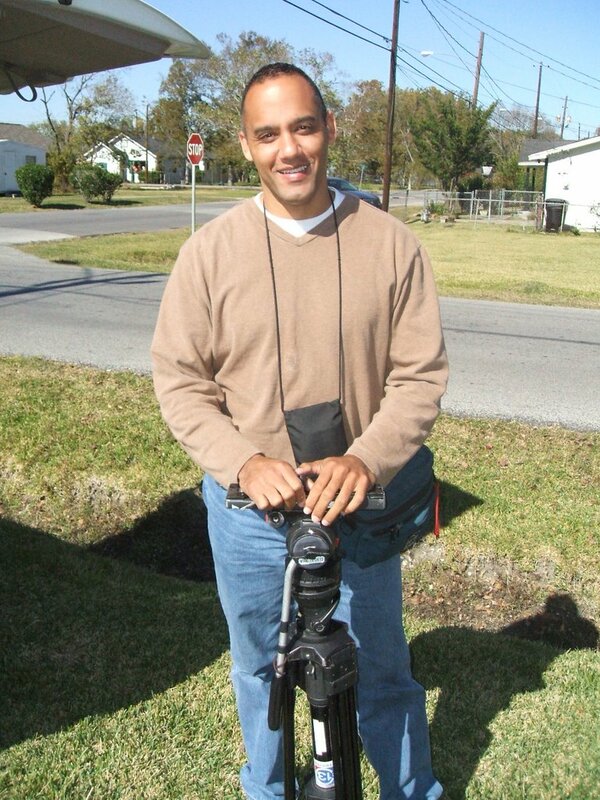 He is also another Houston photographer respected for his hard work ethic in the market. And like other honorees he’s frequently seen out and about without a reporter in tow. And that means he can gather and tell a story by himself. Davis also wanted to make one point crystal clear here on the Insite. He says he is not Byron Nichols. Apparently, the veteran photographer who often asks The Insite to hold his microphone at press conferences, says he has been mistaken once too often for Byron Nichols. 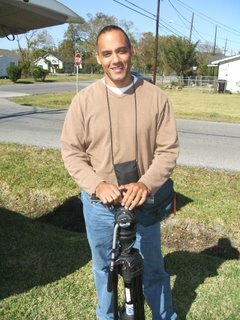 Nichols is a photographer at KPRC Channel 2 who’s also made appearances here on The Insite. Congratulations to Stephen for your Insite photographer of the week honor. You gift certificate to Denny’s is in the mail!